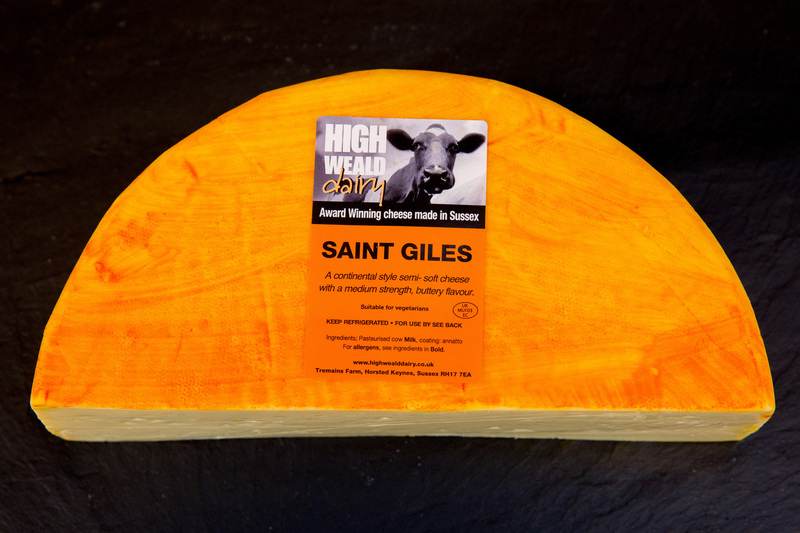 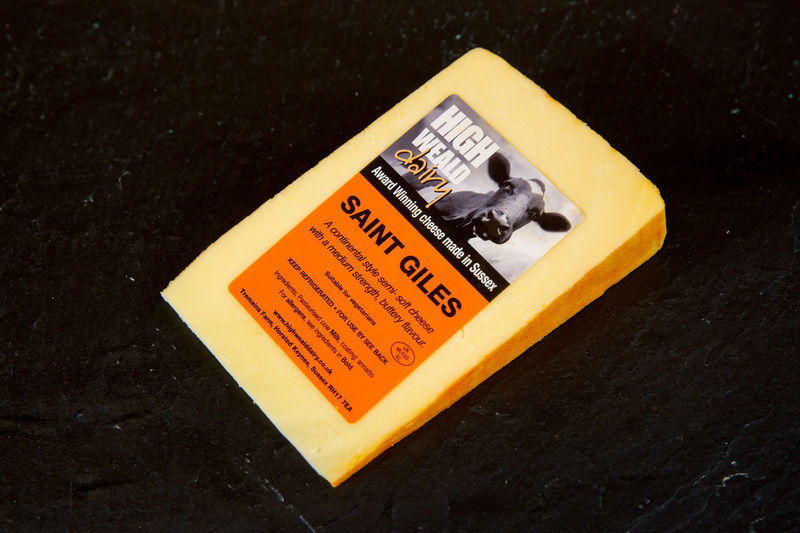 Saint Giles is a continental-style, semi-soft creamy cheese, similar to the Saint Paulin/Port Salut style of cheese. It has a rich, buttery texture and a creamy mild flavour. There is also an organic variety which has a stunning edible orange rind, made using organic carrot. Typical values per 100g: Energy - 1588 Kj/383 Kcal; Fat - 31.2g, of which saturates - 17.5g; Carbohydrates - 2.5g, of which sugars - >0.1g; Protein - 23g; Salt - 1.8g. 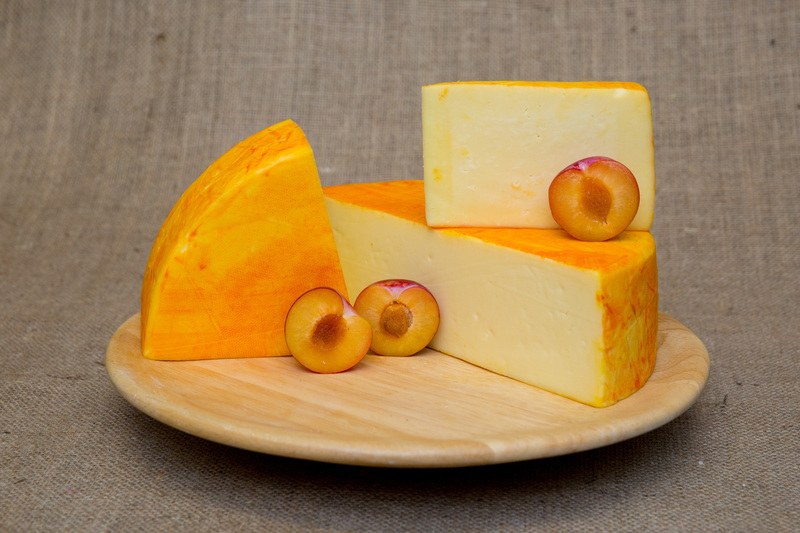 Brother Michael is an organic, semi-soft rind-washed cheese. 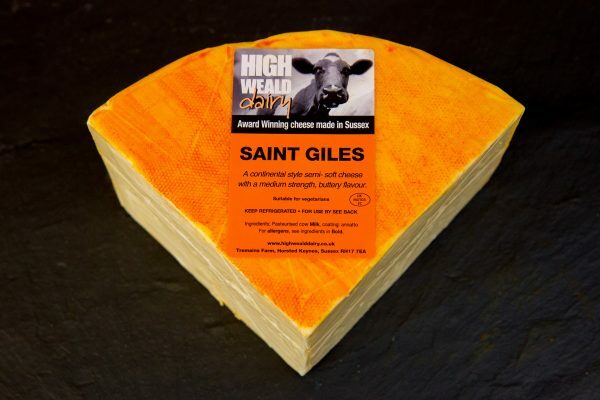 Based on our Saint Giles, the 'washing' process gives the cheese a beautiful sticky pink rind and a sweet, pungent aroma, which is much stronger than the flavour of the cheese.